Here at EFF, we see a lot of stupid patents. There was the patent on “scan to email.” And the patent on “bilateral and multilateral decision making.” There are so many stupid patents that Mark Cuban endowed a chair at EFF dedicated to eliminating them. We wish we could catalog them all, but with tens of thousands of low-quality software patents issuing every year, we don’t have the time or resources to undertake that task. 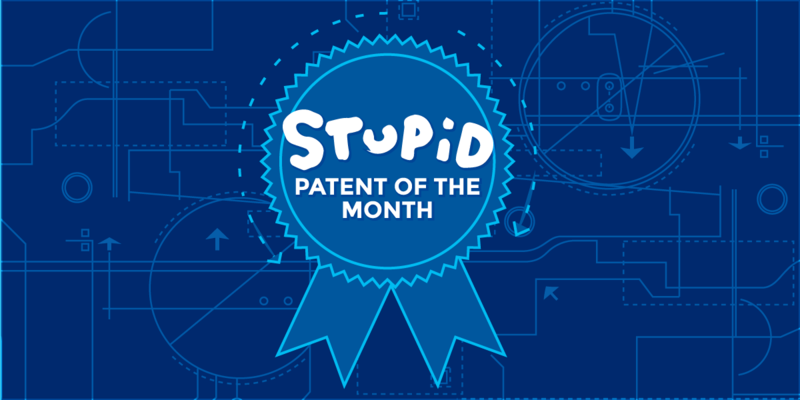 But in an effort to highlight the problem of stupid patents, we’re introducing a new blog series, Stupid Patent of the Month, featuring spectacularly dumb patents that have been recently issued or asserted. With this series, we hope to illustrate by example just how badly reform is needed—at the Patent Office, in court, and in Congress.